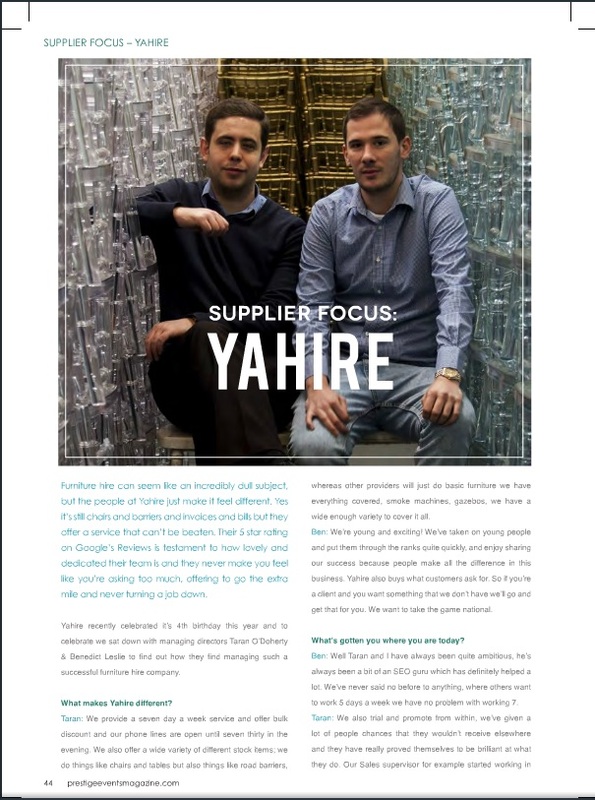 Last week the latest edition of the Prestige Events Magazine was released and Yahire directors were on the front cover, we was approached about doing an article about the Yahire story to date and we was happy to oblige. 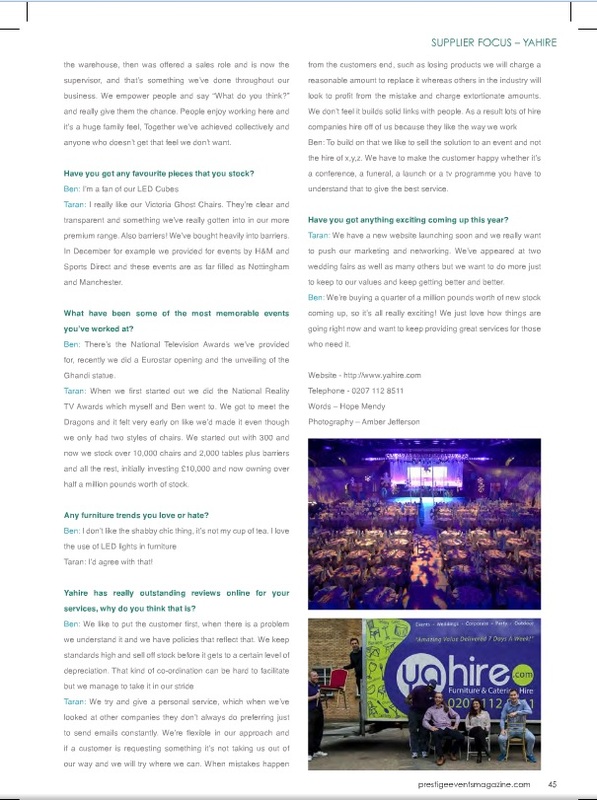 The prestige events magazine is for people in the events industry and has a very good reputation and coverage within it, so it was a great pleasure to be included in the magazine. We work very hard to provide the highest standards and consistently try to improve how we operate, sitting down and discussing our recent news and upcoming plans is something we feel is important to keep our customers in the loop. 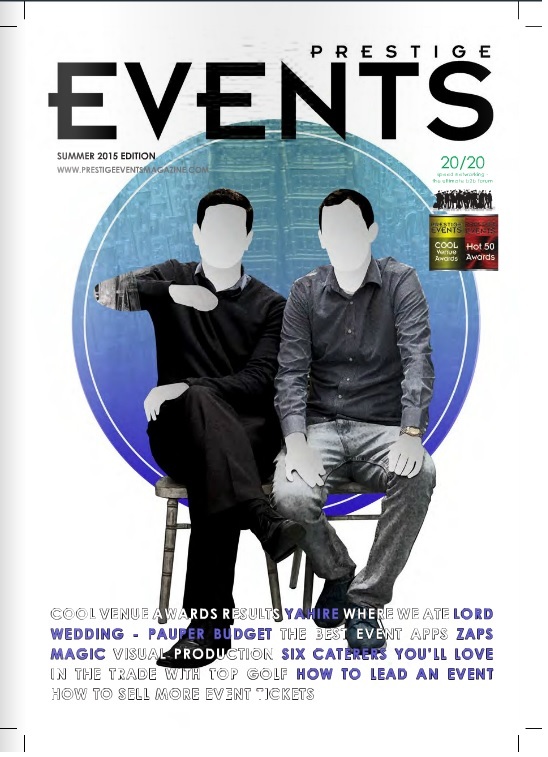 To see the full article visit http://issuu.com/prestigeeventsmagazine/docs/prestige_events_summer_2015 and our article is on pages 44-45. We got asked questions about ‘what makes Yahire different?’, ‘what have been our more memorable events’ and our plans for the future.